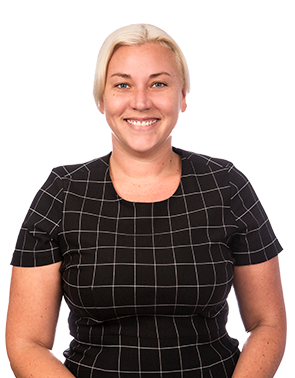 Katelyn joined QPF in 2007 and has now amassed a lofty 15 years in the finance industry. Kicking off her career in a credit-related role, her caring and passionate attitude complemented by an infectious laugh saw Katelyn build relationships with ease and naturally move into a Finance Broker role in 2014. Not afraid to give up the good to go for the great, Katelyn has a reputation of going the extra mile for both her clients and co-workers – living by Jim Carey’s words of wisdom – “The effect that you have on others is the most valuable currency there is”. Specialising in transport and catering equipment, you may see Katelyn’s name on the road – printed across the side of a Hawks Transport vehicle as they were so pleased with her service that they printed her details 2m wide on a prime mover! What has Katelyn recently financed? I would just like to pass on my gratitude to Katelyn Barnett and her Team at QPF for your hard work in helping me get my new car. I really cannot put into words how grateful I am and how much I appreciate it. This is how it should be done. Everything was handled smoothly in a timely and professional manner. This has to be the best Finance Company around. I’ll never go anywhere else, just because I wouldn’t want anyone other than Katelyn (QPF), taking care of loans for my business whenever I need one. Thank you Katelyn Barnett, for this fantastic experience. Katelyn was extremely helpful throughout the whole process. I would definitely use QPF again when purchasing machinery and recommend them to anyone. They not only helped me with the purchase but also with all my insurance’s that I need. Thanks Katelyn and QPF. Katie Barnett is a sensational Broker and very down to earth. She understand’s the truck and machinery industry and my individual circumstances which is hard to find. Thanks again will surely be recommending. This was my second time using QPF Finance Group, and I could not be happier with the service that I received from Kaitlyn. The extremely quick turn around and willingness to answer my never ending questions made everything more comfortable for us in purchasing our new car. Very, very happy and highly recommend. I am writing to let you know how much I appreciate the outstanding service that your staff provided over the last few weeks. I called your office to get finance for my new truck. My Broker, Katelyn Barnett, was very attentive and helpful. She was very knowledgeable about finance options – and in particular, she tailored the loan to suit my situation and seemed genuinely interested in helping me. Because of her efforts, I was able to find exactly what I needed and I’m very satisfied with this finance transaction. I will continue to use your services in the future, as well as recommend your company to others. Please let Katelyn and her team know that their efforts did not go unnoticed. You have put together a great team that makes customers feel respected and valued. I look forward to using your services again in the future.